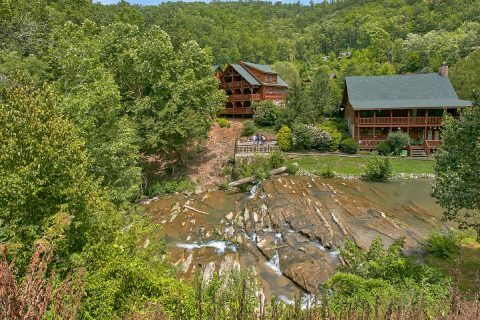 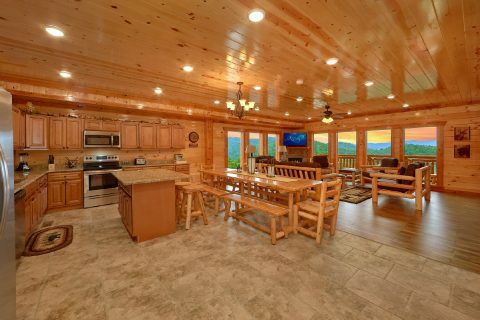 Located just off of Wears Valley road in the upscale Smoky Mountain Ridge Resort community, you'll find "Majestic Splash," an excellent 6 bedroom cabin that sleeps 17 guests! 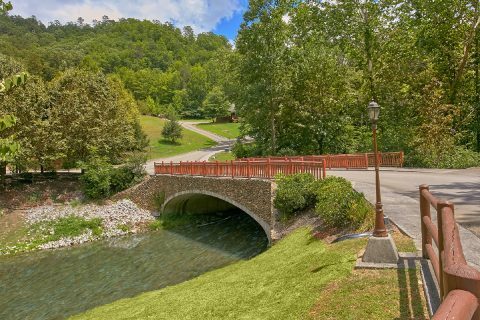 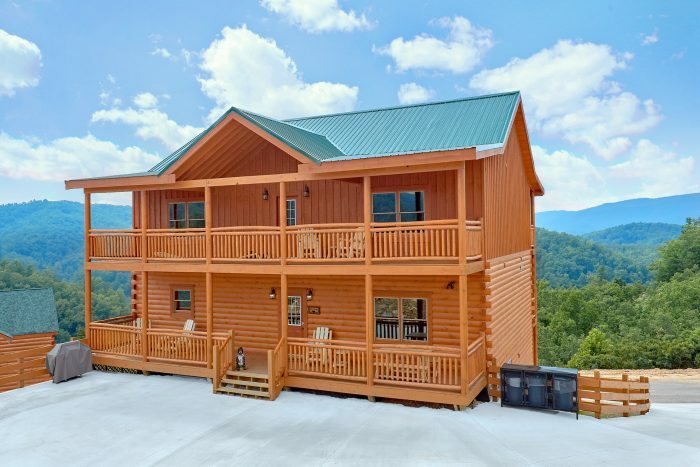 With a prime location that's only 5 miles from Downtown Pigeon Forge, guests of this cabin rental can easily explore top attractions like Dollywood, The Titanic Museum, and The Island! 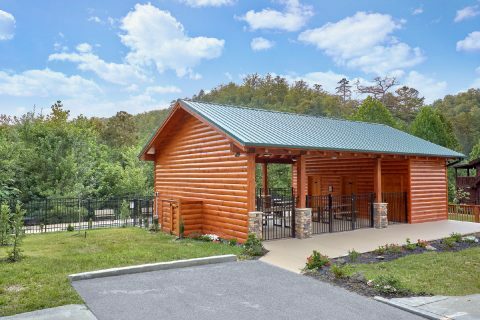 Better yet, this cabin's location in the Wears Valley area of the Smokies gives you quick access to the Great Smoky Mountains National Park via the Metcalf Bottoms park entrance. 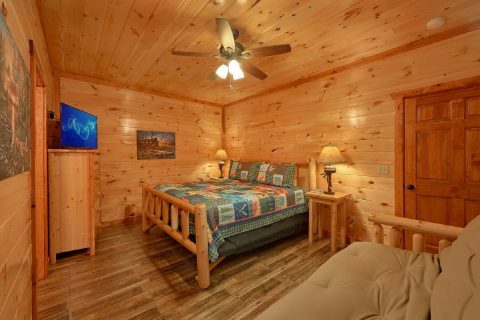 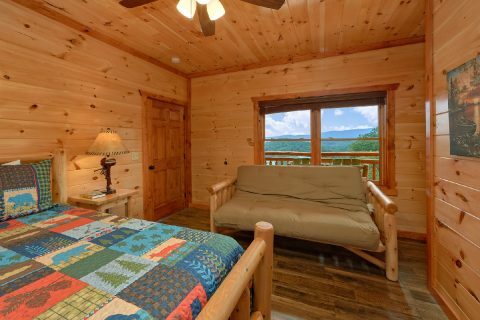 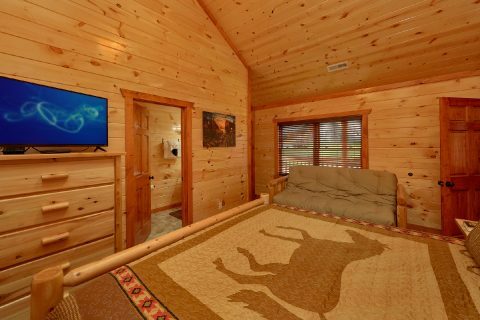 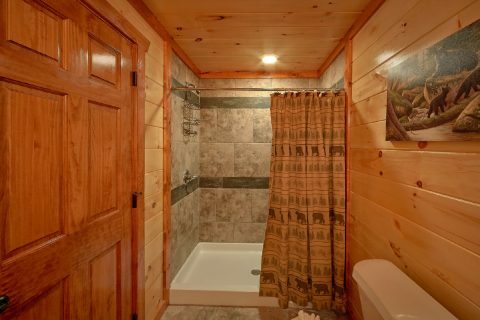 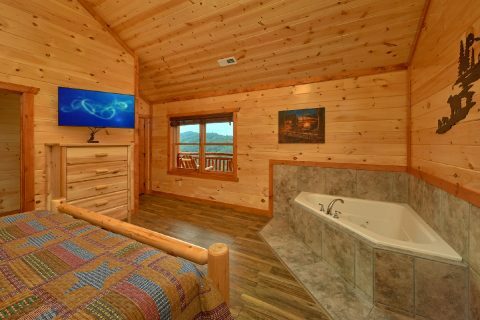 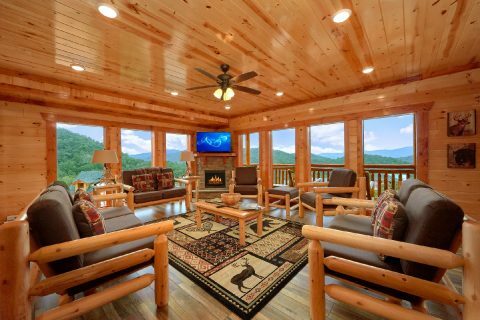 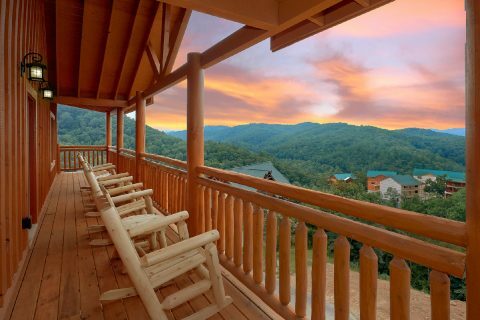 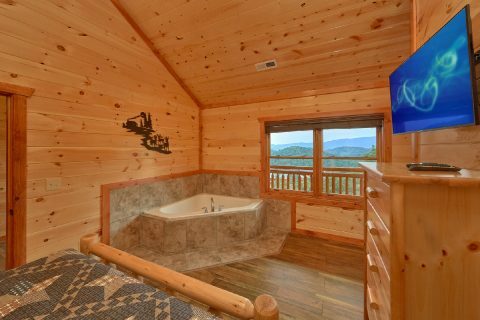 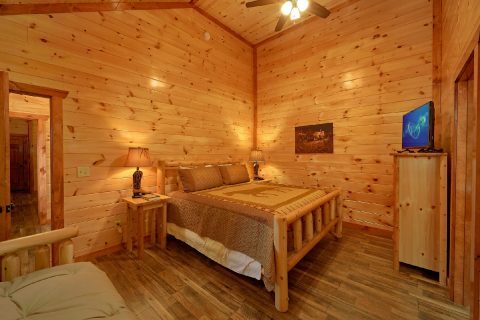 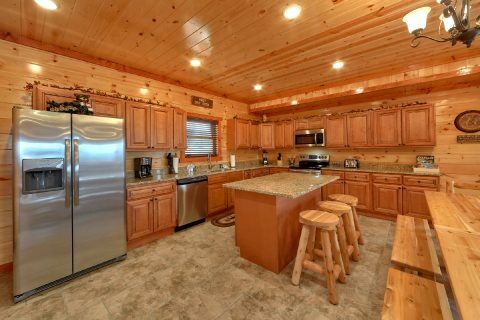 After a great day spent hiking to waterfalls or seeing a fun show on the Pigeon Forge Parkway, you can look forward to unwinding at this spacious, luxury cabin in the mountains. 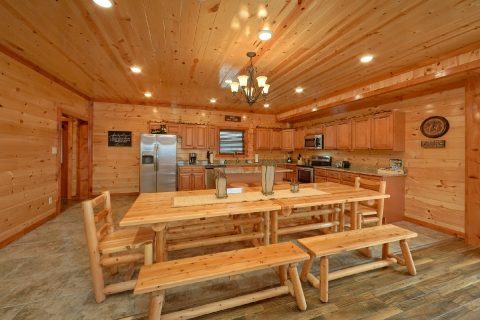 On the main level of your rental, you'll find a welcoming living room and a nearby kitchen & dining area for enjoying delicious meals in your cabin. 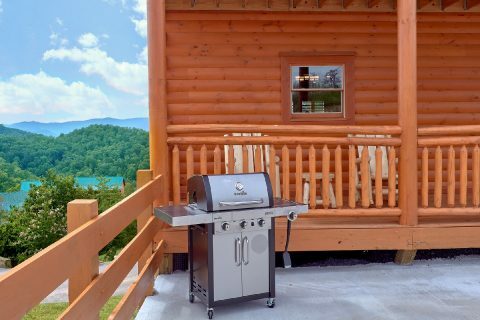 From here, you can always step outside to your cabin's deck to enjoy the fresh mountain air. 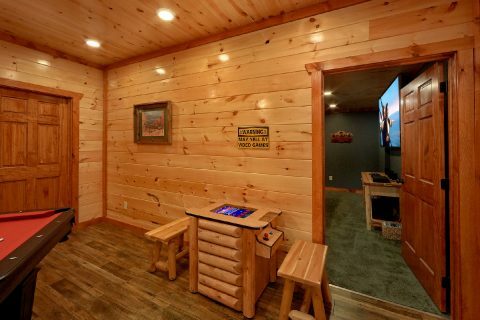 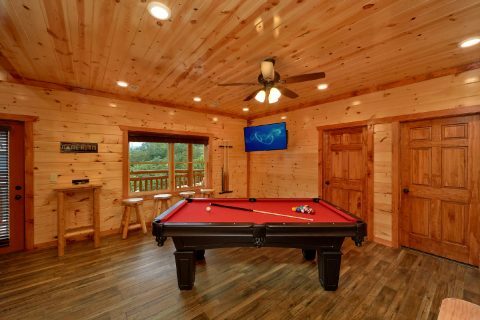 Downstairs, your cabin offers plenty of in-cabin entertainment in the game room with a pool table and a sit-down multi-cade arcade game. 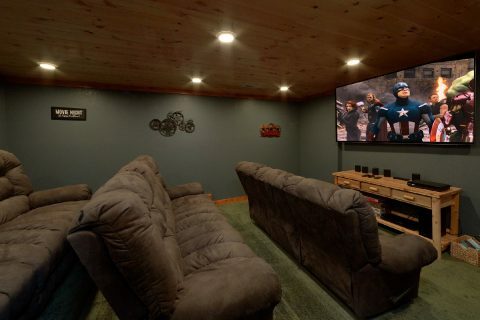 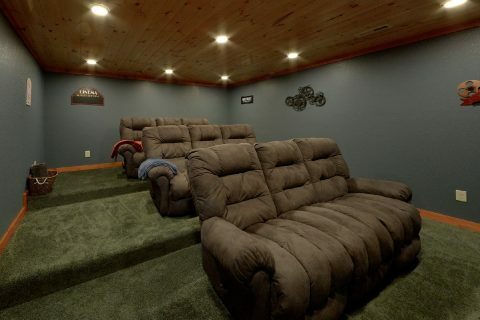 This rental even boasts a theater room with an 85" television for enjoying your favorite films in comfort and style. 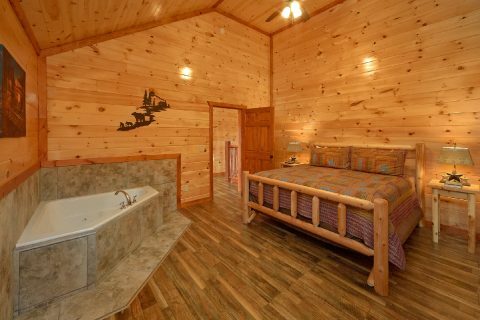 For true relaxation, simply step outside onto your cabin's deck to enjoy a soothing soak in the hot tub. 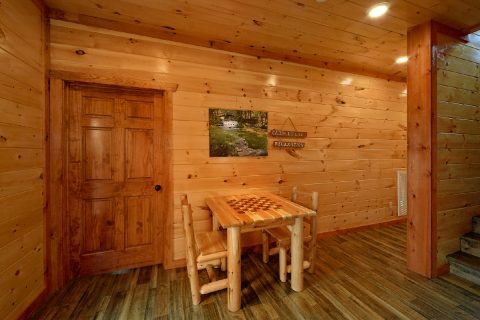 This floor also features a laundry room for you to use during your stay. 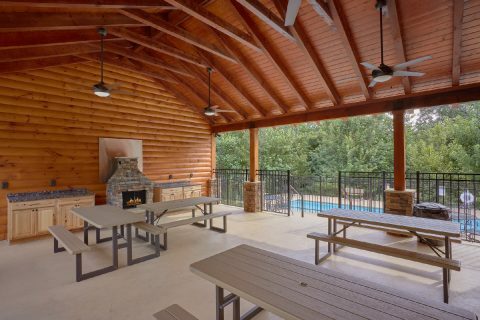 Lastly, the lower level is home to a private indoor swimming pool so you can enjoy a refreshing swim any time of year. 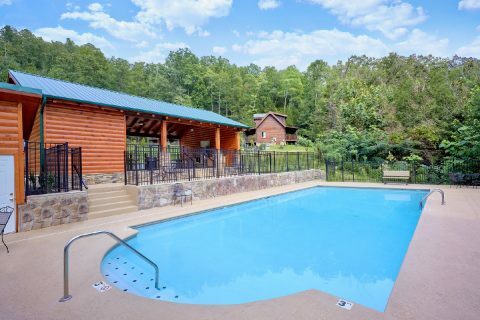 Better yet, you can also use your cabin's outdoor resort swimming pool during the warm summer months! 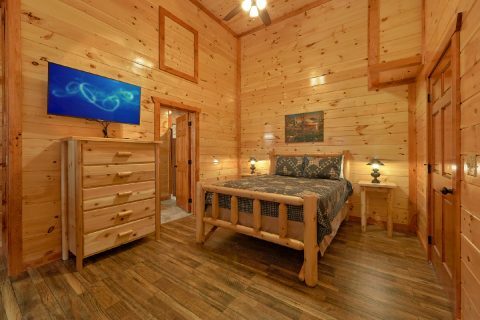 Once you're ready to get a good night's sleep, you can look forward to sleeping in one of this cabin's 6 bedrooms. 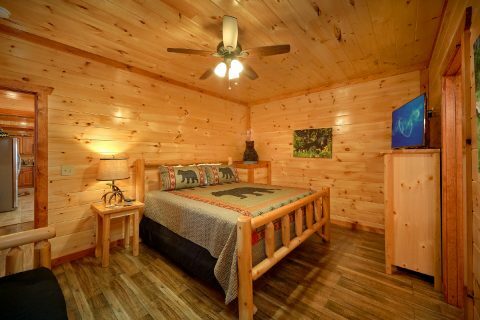 The main level is home to two king-size bedrooms that both offer futons for extra guests. 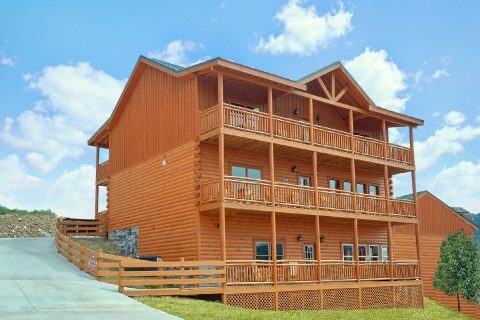 On the upper level, there are 4 bedrooms in total. 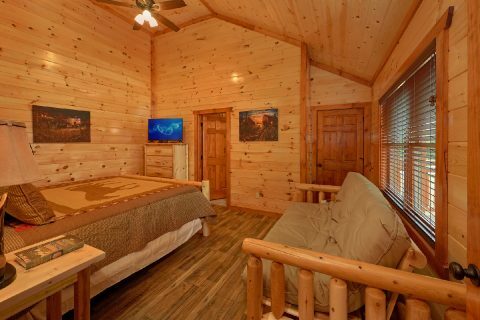 Upstairs there is a king bedroom with a futon, a king bedroom with a jacuzzi, a queen bedroom with a jacuzzi, and another bedroom with 2 sets of twin bunk beds. 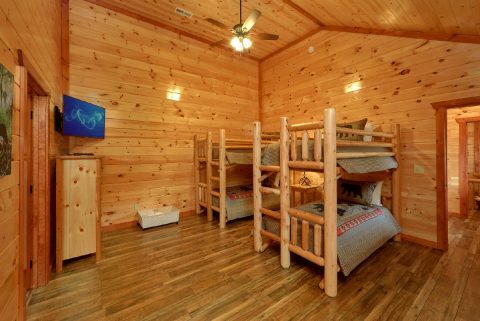 Altogether, "Majestic Splash" provides you with 4 king beds, 1 queen bed, 2 sets of twin-sized bunk beds, and 3 futons, so it can sleep up to 17 guests with ease. 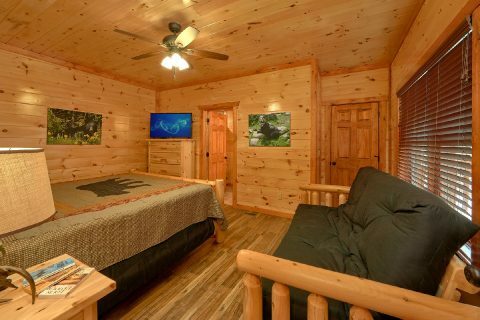 Book your cabin on Wears Valley road with an indoor swimming pool today with Cabins USA and you can save 15% on your nightly rate in the Great Smoky Mountains of Tennessee!